On turning tragedy into triumph, A level results, UCAS, clearing and the need to plan for alternative avenues. I would like to say I was there right from the start, at 6am, but we discussed how the day might roll out the evening before, and that was not how events unfolded. My entry into her highly charged world of phone calls, endless open screens on her lap-top, Facebook pop-up messages and a constantly bleeping phone, came about part of the way through the morning, when emotions had calmed and discussion was possible. What was part of the plan was champagne in the fridge, a table booked at a favourite restaurant, my daughter’s friends arriving in the afternoon and a late night out for a celebratory evening of clubbing. All the pieces were in place for a perfect day, but those damned results, and an unexpectedly poor fairing in one paper (now subject to a remark), threw the day, and my daughter’s future, into turmoil. It is an emotional roller-coaster of a day when results do not go as expected. The torment experienced must not be under-estimated. How dreams can be shattered in an instant. It is a failing of our education system that success must be measured by exam grades and a resolutely single-route into university. Consideration of what alternatives may also be possible futures, or what lies beyond Plan A, when back up insurance offers are not an option, is limited. There is little emotional or practical preparation or support for students whose grades do not meet requirements. Minds that are blasted by rejection are not in the best fit state to begin negotiating alternative offers in those 24 – 48 crucial hours after results are released. The timescale to act on results day is exceptionally harsh. Within 48 hours of clearing opening, decisions must be made and verbal offers from universities accepted and confirmed. Everything happens at lightening speed, so that all the leisurely months of browsing university handbooks, or attending open days seem absurdly remote when decisions about where to study need to be made – and made fast. But even where speed and the need to act quickly is a necessity, the need to plan is even greater. After breakfast (in bed on this occasion…) my daughter and I made a plan. The best laid plans must still be subject to testing! We soon discovered that the top-ranking universities, the Russell Group and those within the top 50, had long waiting times for calls to be answered, from 18 minutes to 32 minutes. That is a long time to hang onto a telephone! It is also a prohibitively long time to wait when the need to gain a number of firm verbal offers of a place is paramount and the hours in the day fixed. Our emotions are a precarious thing. They can be a blessing or a great burden. 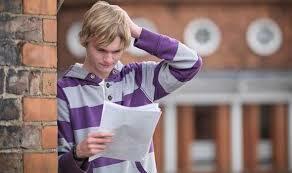 The emotional toll of the UCAS clearing process is great. It subjects young people, feeling at their most vulnerable and dejected, to a barrage of instant decision making with limited personal interaction or support. There is little to engage or buoy the spirits. A change of tactic ensued which began to produce results. Rather than prioritizing the top ranking universities and the long call waiting times, my daughter began to look at others, working her way up from the bottom of the list to the top. The results were impressive and dramatic! Within 20 minutes of calling lower priority universities (according to the list we’d established earlier), calls were going through instantly to admissions, and then to departments. Two offers were made from universities within a matter of minutes. I have never felt so jubilant for my daughter as that first offer of a place at around 11.30am! And how that success became a catalyst for even greater success. Within two hours my daughter had verbal offers from five universities, all offering the course she wanted to study or a close match. It is ironic that many needed higher UCAS points than her first choice university that had, not more than a few hours before, rejected her, but still the offers came in. Then began the process of deciding whether to continue seeking offers, and trying to bag an even higher ranking prize, or whether to capitalize on gains? Do we stick or do we deal? We decided to stick with our offers and explore each one in detail. The final draw came down to two London universities, both elaborate in their attention to detail. The virtual tours of university life were impressive. As studying in London had been off the cards previously, both were unknown quantities. Now, suddenly, it held appeal in vast quantities. A certain nightclub featuring in Freshers’ fortnight had a magical effect in transforming one university’s status instantly. A turning point had been reached. From disaster and tragedy, suddenly new opportunities were forming. By 4pm on Thursday, my daughter had accepted an offer to study History at Greenwich University, London. As a passionate Tudor scholar, imagine the delight to discover the great and significant connections with Henry VIII and Elizabeth I at the Royal Naval College, Greenwich. As a passionate party-goer, imagine the delight at discovering the proximity of London’s night scene and a two-week fresher experience that includes XOYO! Well, my daughter had found her Mecca. In supporting our sons and daughters through the turbulent sea of life, we must be mindful to keep dreams alive and a sense of self-worth intact. There is a harshness in the competitive world of education and work that can erode the human spirit and wreak havoc on dreams and aspirations. 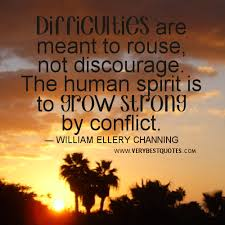 In difficult circumstances we must ensure that we do not lose sight of the longer term goal, or allow those we love to be set off-course, on some downward trajectory, by obstacles to our success. Postscript: One year on and my daughter has had a brilliant first year at Greenwich University, utterly immersed in student life and city life. It is different from what was expected, but better in many ways. There is much that one could regret, regarding other university opportunities, but much to be grateful for. We adjust, we adapt, we move on and we make the best of the opportunities set before us. 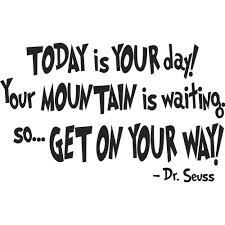 Your mountain is waiting – so get on your way!